Who’s That You See on QVC? It’s Me! It’s Me! Any excuse for a rhyme, right? I know I’m not the only one who loves the beauty brands for sale on TV – did you know home shopping began in 1977 with lime green can openers? The things you learn on Wikipedia! Look at how far things have come. Now so many of your favorite celebs are on TV, selling products of their own design. And now you can find a few of your favorite bloggers, sharing their favorite picks on QVC.com. See anyone familiar? 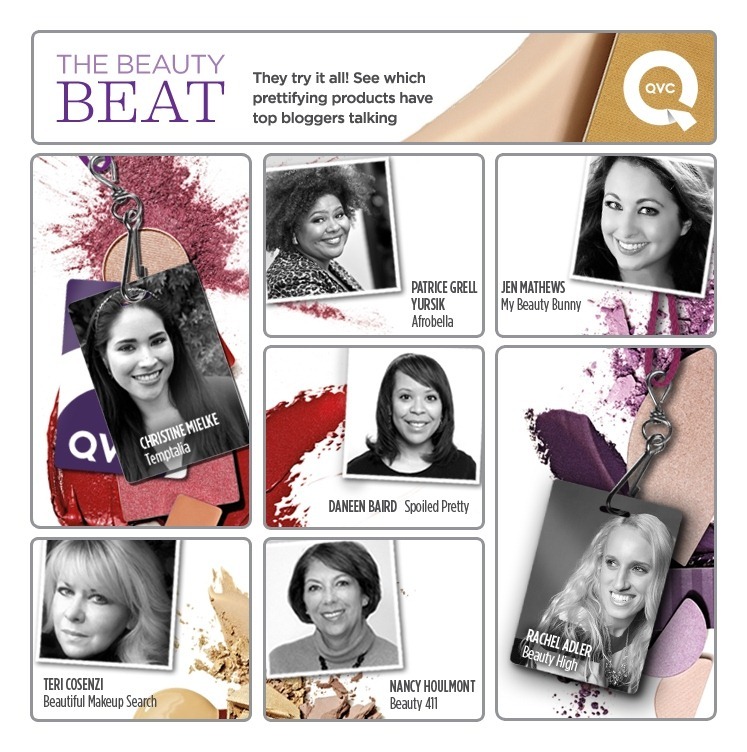 So what are my top favorite beauty picks on QVC? Click here to see the full list – prices range from $12 to $225, and my list includes items by Wen, Philosophy, Mally Beauty, Ojon, Bliss, Tarte, Algenist, Clarisonic and more! Everything from skincare to makeup, tried, tested and true! Tune in over the weekend, bellas – but you can check out all of my top picks right here right now. Look out for more detailed product reviews to come (I need to tell y’all ALL about my love for that Mally Poreless Face Defender in DETAIL)! See any of your favorites? honey, you better werk! you make me so proud, patrice. i love everything you do! i’m sitting here smiling like a cheshire cat. get it, sis! thank you!!! 😀 Sometimes I can’t believe the opportunities that land in my lap. <3 you! Glad to be in such great company. Congrats! congrats ‘Bella. I also see a few other familiar faces. Proud of you all! WOW! this is great news. Congrats!! Go Bella! Congratulations! And I can’t wait to hear more about that pore defender. I see a few more items, in your bag, that I’ve been wanting to try too. Congrats! Making me so proud of your business growing skills. I’m obsessed with Wen. If you shop through the QVC website – which is the only way to go – then a great tip is to go through Mr. Rebates (.com). You’ll get cash back into an account and when you’re ready you request a check. I swear by it (plus if you refer someone you get a portion of whatever cash back they’re getting, too…ahem http://www.mrrebates.com?refid=169267)! And no, I don’t work there. I just like to share the love.